I love her for that attitude. 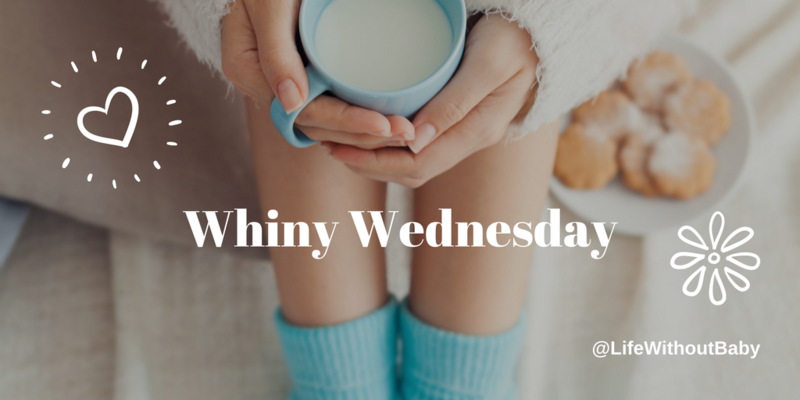 So, why did this lovely article warrant a Whiny Wednesday spot? Even when we do get to hear about someone without children, there’s no escaping the fact that, ultimately, families rule. *Note: when I checked this week, the recommended articles had changed, but be aware that People always has lots of celebrity baby stories. I’ve been catching up with some of our early contributors to this column because I’ve wanted to hear how they’re doing. Naturally, I’m hoping for good—if not great—news about new-found passions, successful Plans B and C, adventures on roads that might not have been taken. After you’ve read Kay’s original story (first posted in 2014) and update below, I hope you’ll add a Comment. Then I hope you’ll consider sharing your own story. 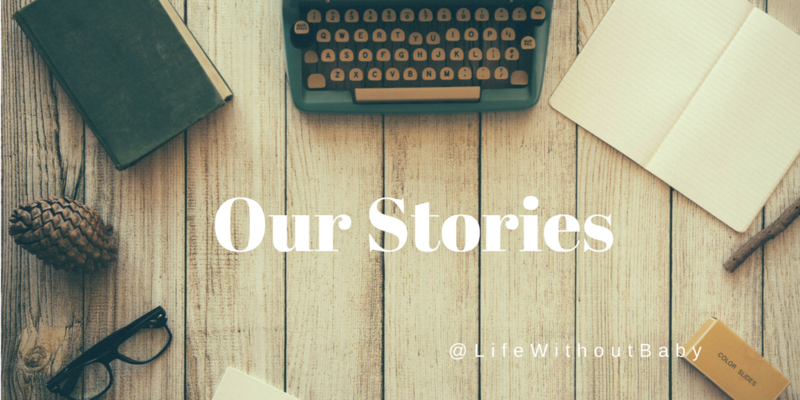 Visit the Our Stories page for information and the questionnaire. After a first marriage to a man who was “never stable enough for us to have kids,” Kay met her current husband when she was almost 42. They got busy trying to create their family, but three pregnancies were lost early, and adoption didn’t work (they weren’t against it, but the reasons it didn’t work were “complicated”). Now 52, Kay still struggles with being childfree by chance and circumstance. After reading her story below, I hope you’ll take a moment to offer her some encouragement in the Comments. LWB: Please briefly describe your dream of motherhood. Kay: Oh, the Waltons. I wanted a big family with lots of children, maybe with foster kids as well. Kay: My parents didn’t have a clue how to show love and fought a lot, and we children felt truly unloved and unwanted. From a very young age, all I wanted in life was to be a mama. That I will never have that is crushing. We are not close to any of our nieces and nephews. We have tried, but we live too far away from them to be very involved. Kay: I don’t have to discover that I am just like my parents in parenting, in spite of my best intentions. Kay: I still very much want children in my life, and it doesn’t matter to me now that they won’t be my own. We unofficially mentored a family for a while. We called them our “Rent-a-Kids” and they liked that. But they moved away, so now I’m looking for something similar. I would like to find a way to connect “aged out” foster kids with people who would be family for them, to give them someone to care about them and a place to go for holidays and other momentous occasions. I don’t quite know how to get this started, but I’ve recently come across a couple of possibilities. Kay: I have medical issues that are debilitating, and while I try very hard to be upbeat and positive, I’m much worse than four years ago. Because of these issues, I’ve not been able to follow through with aged-out foster children. I struggle not to be bitter about life, and I am very thankful for the things I do have: supportive husband, friends and family, our home and cats, a decent functional medicine (semi-alternative) doctor. I think I have the bitterness under control, but I am sad (not clinically depressed) often, feeling that we’ve missed so much. Kay: The question about what to say to my younger self is a conundrum. I guess I would simply tell myself that, with my genetic structure, medical intervention does more damage than benefit, and it would be best to eschew it. And “Embrace life more fully.” I was raised with the belief that “good things come to those who wait” hand in hand with “the meek will inherit the earth,” and those two things combined lead to too much passively waiting and watching life pass by. *To protect respondents’ privacy, we allow each to choose a name for her profile. It may or may not be fictitious. Kathleen Guthrie Woods is inspired by the strength and courage of every woman who has shared her story here. I can always use a little bit of outside light as we head into the holidays and what for many of us who are childless-not-by-choice is a cold and dark season of the soul. Brandi gave me that light of hope when she shared her story with me. Forty years old and happily married for 16, Brandi endured over 10 years of the infertility nightmare. When her husband told her he couldn’t do it any more, she made the choice to build a new Plan B life with him, one that was childless. After “a long climb out of the pit of despair”, she is able to state (and here’s where she knocks my socks off): “I have accepted that I am a childless woman, but I do not identify as childfree.” Since her decision, she has filled her life with children, other people’s children, and has found what she calls the “bright side of infertility”. Read her story below, then learn more about Brandi and her journey at her own website and blog, Not So Mommy. Brandi: I always thought I’d be just a good ol’ fashioned mom, with two kids, a husband, a dog, and a cat, living in my traditional house. Even as a little girl, I toted my Cabbage Patch Kid around in a carrier on my chest. I didn’t dream of my wedding day, but I did dream about having a husband and kids. Brandi: I am childless by chance. (Actually, I usually say I am childless-not-by-choice.) My husband and I suffer from severe infertility. I have endometriosis, and after seven failed IUIs [intrauterine insemination fertility treatments] and 10 years TTC [trying to conceive], my husband decided he didn’t want to keep trying. So, at the end of 2013, I began trying to accept my childless life. Brandi: I have accepted that I am a childless woman, but I do not identify as “childfree”. I have kids in my life (nieces, nephews, and an exchange daughter who has become family, plus our fur baby). I started writing a blog, Not So Mommy, because I want to help others who are struggling in their childless journeys. I try very hard to focus on the good, so I write about the positive side of being infertile, childless, a dog mom, an aunt, a host mom, a wife, etc., and redefine what “momhood” means to me. When I was in the pit of despair and at my darkest moments, I never thought that I would come out of my infertility journey able to say that I am okay with being childless. But my life has turned out pretty well! I want others to know that there is hope, there is a light at the end of the struggle. I hope to continue to inspire others to embrace their authentic selves and live their imperfectly perfect lives. Brandi: December 26, 2013. That was the day my husband told me he didn’t want to keep trying to have a baby, and he didn’t want to adopt either. He said he just wanted to enjoy our life like it was. Because I love my husband and could not imagine my life without him, I decided that I had to accept our childless life. So, I went into 2014 with the resolution to do just that. It was not an easy road, and I definitely had struggles (sometimes still do), but it was freeing to let go of one dream (having a baby) so that I could open myself up to other possibilities. Brandi: The freedom to travel, the freedom to have spur-of-the-moment dates with my husband, the freedom to spoil our nieces and nephews because we don’t have to pay for college or braces or everyday expenses. Brandi: I’ve always been honest about my infertility. I never hid it even when we were going through our struggle and treatments, so, when people ask, I tell them that we can’t have children. I go on to explain that we have nieces, nephews, a fur baby, and have hosted an exchange student who has become family. We usually end up talking about dogs or they ask about our hosting experience. I hope it allows people to realize there are different ways to have children besides getting pregnant or adopting. Brandi: Allow yourself to be open to a different dream. My husband and I never considered hosting a foreign exchange student until we met a student and her host mom at a cooking class. Deciding to host a student turned out to be the BEST thing that ever happened in our life! God answered our prayers, but His answer looked different than we expected. A while back, I received an e-mail from an LWBer I’ll call “Kim” who was struggling to find her place in our community. She hadn’t been through infertility, nor had she made a conscious choice to not be a parent. Instead, she’d held out for Mr. Right and married a man she loved—who didn’t want children. It wasn’t exactly my story, but I could relate to much of it. 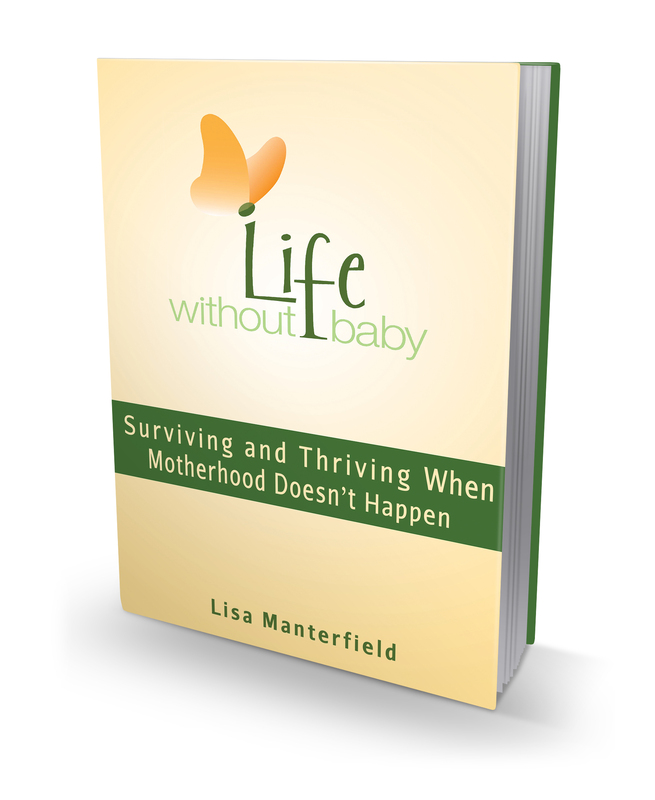 I shared my response with Lisa, and she asked me to consider sharing it with other LWB readers. If you see yourself in here, I hope you’ll find some encouragement, some support. I hope you’ll feel—maybe for the first time—that you are not alone. I am so sorry to hear of your losses and sorrows. I get it! Our paths are similar. First, congratulations on your recent marriage! I, too, held out for love, which meant I got married in my 40s. My husband was worth the wait. Second, a bit of my own story: I went through a long process (mid-30s to early 40s) of exploring whether or not I could/wanted to have a child on my own, and ultimately decided it wasn’t something I could do. 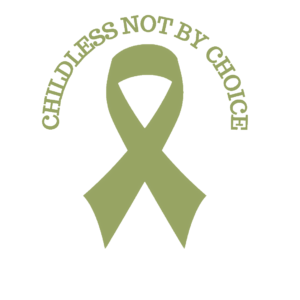 It still irks me when people accuse me of making the “choice” to be childfree, when I feel in my heart that this destiny was forced on me in so many ways. Like you, I wanted to be a mom and I would have been a great mom. So not fair! By the time I met my husband-to-be, I was starting to come to terms with the facts that my age and health were not in my favor for bearing and raising children. Sure, I could have tried every medical miracle, but with what results? I couldn’t do it. When I knew we were at a defining point in our relationship, I sat my then-boyfriend down, ready to set him free if he wanted children, because I knew I couldn’t offer him any guarantees. It came as somewhat of a relief, then, when he told me he never wanted kids. You asked how other women in your—in our—shoes are “living with it.” I’m sitting here at my desk trying to think of the best answers to give you, the real answers. It’s not easy, Kim. There are days when I love my life just as it is, when I celebrate that one of the reasons my husband and I have such an amazing relationship is because we are not having to divide our energies and attentions to take care of children. We spend our weekends together, even if it’s just running errands or watching Law and Order reruns on TV. We aren’t driving in different directions to attend soccer and Little League games. We are the last couple on the dance floor at wedding receptions because our friends who are parents have gone home to relieve babysitters or because they’re exhausted from all their obligations. These are blessed days indeed. And then…and then…Halloween comes around and I want to stay in bed and cry about all the joyful events I’ve missed and will miss. I have to talk myself into decorating for the Christmas holidays because there are no little ones to revel in the magic, no one with whom I can share precious traditions. I lied to a friend a few weeks ago, a friend I love, because I couldn’t bear to go to her baby shower. I will love her child, we will be part of her child’s life, but I just couldn’t sit in a room full of women who got what I so desperately wanted. In between, I lean heavily upon the wisdom and experience of our sisters on LWB. Sometimes I can offer the words of encouragement and support; other times it’s me who needs to be picked up off the floor. I encourage you to spend some time familiarizing yourself with the resources on the site. Yes, many of the women are here because of infertility, but we can still learn from each other how to move through this and forward into new life paths. Melanie Notkin of Savvy Auntie has coined the phrase “circumstantially infertile.” I personally hate the term, but it makes sense to me. She is childfree for the same reasons we are (and I believe she’s still single) and has turned her experience into being an auntie advocate. I encourage you to check out her site. From my own experience, I will add that being “the fun aunt” has its advantages. 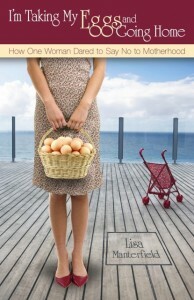 I also have learned a lot from Jody Day’s book, Living the Life Unexpected (also available on Amazon). She has a site called Gateway Women. I know Jody (also circumstantially infertile) has groups around the world, so you might check if there’s one near you. If not, maybe you’re the woman to start one? There are also several forums online on the LWB site. Find a topic that speaks to you and jump in. Finally, I want to remind you that healing takes time. Please be gentle with yourself, Kim. 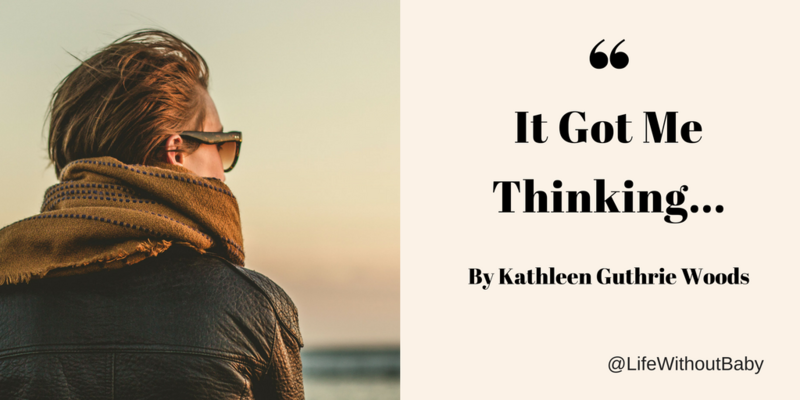 Kathleen would love to hear and possibly share your story. You can reach her at kathleen@lifewithoutbaby.com, or visit the Our Stories page to download the questionnaire for the Our Stories column. *Note: when I checked this week, there were new non-kid articles, so it may be safe to go and read the Dolly piece.